As promised, I am continuing my little story of my trip in Croatia. I guess the breathtaking scenery has completely mesmerized me, so I feel the need to share more photos from the places that I have visited with you. On today I’d like to show you a beautiful place, a place where nature is at its finest, namely Plitvice Lakes National Park. I have visited this spot on my 2nd day there. I can just say that the 3h drive was worth it! It takes about 5h to visit the park as it is enormous. As the whole trip was quite long and so much information was stored to be shared, I invite you to check my other two posts about my adventure in Croatia, here and here . That’s all for today my dears! I hope I didn’t bore you with so many pictures, but if I could, I would have shared much more as the nature was flourishing with the coming of spring. lovely photos and great outfit, I love your yellow sweater! Looks pretty, I'm a fan of yellow this season. amazing pictures! and love your knitted sweater! 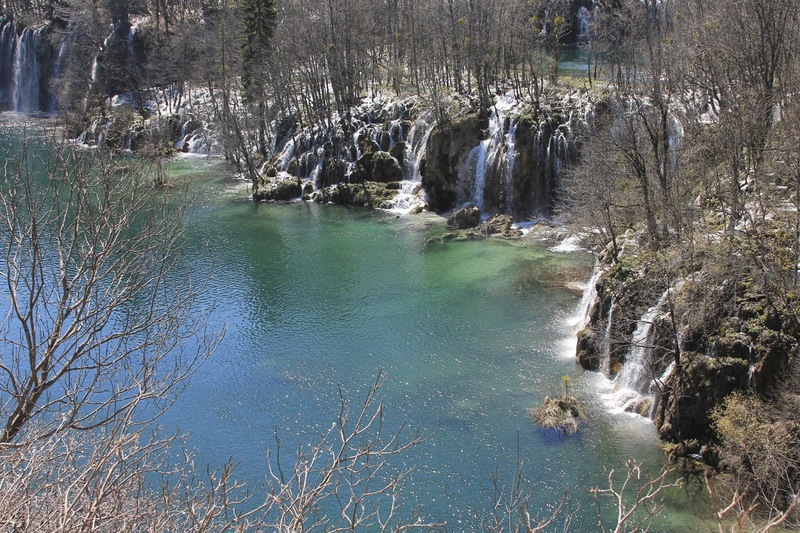 These photos are absolutely gorgeous – thanks so much for sharing your Croatian adventure with us! breathtaking photos! croatia looks beautifuL! xO! Just beautiful! That waterfall is definitely breathtaking!